Thought Snapchat would be a passing fad? Don’t worry, you’re not alone. It wasn’t that long ago that Snapchat CEO Evan Speigel was spending an enormous amount of time trying to convince venture capitalists that Snapchat was the next big thing. Why would they want to invest money into a social platform that allows users to send messages and videos that would disappear within seconds? Speigel fought through the skepticism, grew the social app’s following and value exponentially (a $16 billion value to be exact) and kept educating consumers on the point of it all. And according to Speigel, the point of Snapchat is fun. Period. In a recent interview, Speigel pointed out that somewhere along the way of people building social media products, they forgot the whole reason that they even like to communicate with their friends: because it’s fun. People started conceiving their friends as networking tools only, where the more people they became friends with, the more people they “networked” with. But Snapchat sees the real value in having a fun conversation with friends in real time. But as a business, is having “fun” conversations with customers something that you should focus on? Absolutely. Here’s why: Snapchat, an app that launched in 2011, has come to heavily influence, and in some cases define, the way young people communicate, specifically teens and millennials. This is crucial for businesses to understand if they have any aspirations of connecting their brand to the younger generations. Over 100 million active users visit the messaging app daily. These users spend an average of 25 to 30 minutes using Snapchat every day, and 60% of them use the app to create photos and videos. 60% of smartphone users in the U.S. between 13 and 34 use the app. Video on Snapchat surpassed 10 billion views per day. That’s 2 billion more than the most recent numbers reported by Facebook last report. 77% of college students use Snapchat daily and 58% of college students would be likely to purchase a brand’s product or service if they interacted with the brand on Snapchat or received a coupon via the app. Snapchat is the perfect add-on to other mediums’ experiences, like TV. In 2015, more people watched the Snapchat Live Story feature about the MTV Video Music Awards than watched the actual awards on TV. Snaps posted to a user’s “story” on Snapchat last a full 24 hours for users. Fast Company argues that Snapchat is bringing back the 1970’s TV experience–offering limited choices to those with limited time. And in a flooded media landscape, that’s not a bad thing. 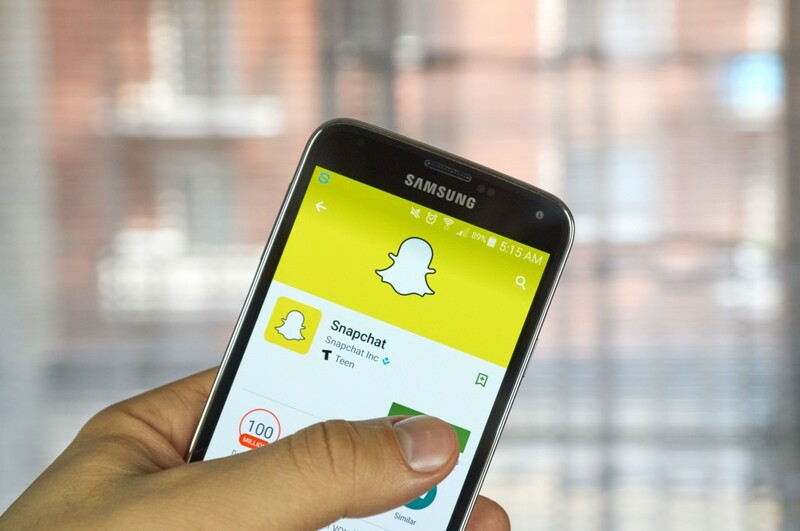 But how, exactly, should you use the genius of Snapchat for your business? Here are five ways to help you get started. Give a sneak peek of a new product to your followers. Have a new product coming out? Tease it to fans via Snapchat. Because images and videos only last up to ten seconds, you can show consumers a small taste of what’s coming down the line for your business and start creating a buzz around it. Highlight live events you’re a part of. If you’re hosting an event or just taking part in one (trade show, ribbon cutting, charity event, etc. ), Snapchat is the perfect marketing tool to leverage. No matter where your customers may be physically, they’ll be getting direct access to the event by following your snaps throughout the entire affair. It’s a great way to engage your community in a “live” way, even when they aren’t able to make the event in person. Let your fans in on the inside scoop. There’s nothing better as a consumer than taking a peek behind the curtain of your favorite brand. Everyone likes feeling like they are on the inside. Use Snapchat as a way to let your fans feel like they are in on something special by showcasing what’s going on behind the scenes at your organization. This is the perfect opportunity to differentiate yourself from your competition, have fun, and show off your brand’s personality and culture. Leverage social influencers in your industry. Every industry has social influencers, the people that your fans follow regularly to glean ideas, perspectives, and entertainment from. Tap into these like-minded influencers and have them “take over” your Snapchat for a day while you reap the benefits of relevancy and their loyal followers to help boost your traffic and your brand. Tell your fans a story. Most of us consume social media when we’re killing time. Whether we’re waiting in line for a coffee, at lunch, or at a stop light (not that we recommend this…) we pull our phones out and consume. As a brand this means you have just a few seconds to make an impact. Enter Snapchat. Snap short, 10 second videos and create a string of stories for your fans to go through all at once when they have that little bit of extra free time. Check out how 12 different brands are using the platform. Find five more examples here. Snapchat is no passing fad and the app’s audience is only going to continue to grow. Looking to make an impact with your younger audiences? Make sure your business is leveraging this burgeoning social media platform as part your overall marketing strategy.